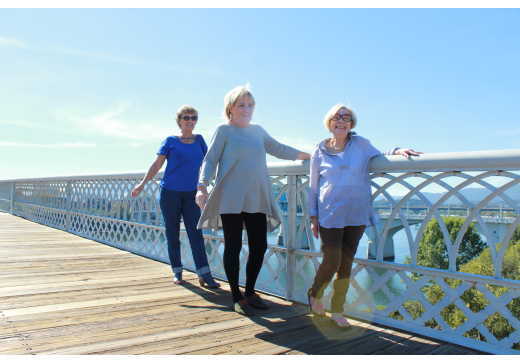 Senior travelers are drawn to Chattanooga for the same reasons Money Magazine named it as one of the top 25 places to retire – a picturesque downtown, easy access to the outdoors and big-city amenities with small town ease of living. 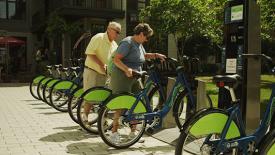 Chattanooga is the perfect place to retire and start living it up. The mild Southern climate with 4 seasons, low cost of living, and NO state income tax makes Chattanooga the perfect combination for year-round fun for your new life. Click here to see what Money Magazine has to say! Chattanooga is the right mid-sized city with all of the amenities of a major city but none of the hassles. Located just two hours from Atlanta, Nashville, Birmingham and the Great Smoky Mountains National Park, Chattanooga is easy to access by car on Interstates 24, 59 or 75 or by plane at the Chattanooga Airport (CHA). You can take a bike ride or leisurely stroll down Chattanooga’s beautiful 13-mile Riverwalk that runs along the Tennessee River, enjoy a picnic in one of the many parks, and so much more. 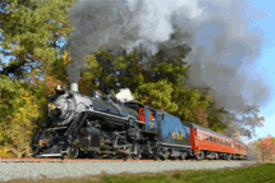 Other ways to explore the landscape include a ride on a restored historic 1850&apos;s steam train compliments of the Tennessee Valley Railroad Museum. Trips range from a 45-minute ride on the Missionary Ridge Local to all-day trips to nearby Summerville or Chickamauga. Finally, you can hit the water in style with a dinner cruise on the Tennessee River. Fashioned to look like a luxury riverboat of the 1800s, the Southern Belle offers everything from 1 ½ hour sightseeing cruises to dinner cruises with a live band. The Lookout Mountain Incline Railway, the world’s steepest passenger train, offers both mountaintop views and a trip back in time. That’s because once atop Lookout Mountain, Point Park and the Battles for Chattanooga Museum are just a short walk away (It’s less than half-a-mile and virtually flat). The museum is a great starting point for learning the area’s Civil War history with a three-dimensional electronic battle map. Afterwards, walk across the street to Point Park to see breathtaking views of downtown and the river below. 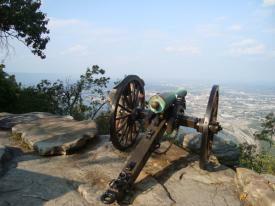 Another famous battlefield is about a 20-minute drive from the foot of Lookout Mountain. Chickamauga & Chattanooga National Military Park is the nation’s largest and oldest military park. Self-guided tours by car are free and usually take between 1 ½ to 3 hours. Stop at the Visitor’s Center first for a map and 20-minute video reenacting key scenes of the battle. Afterwards, consider exploring the city of Chickamauga for quaint boutiques, antique shops and several historic stops like Gordon Lee Mansion, the Coke Ovens, and Crawfish Spring. Also nearby is the 6th Calvary Museum, which honors a regiment whose history spans from the Civil War to World War II. After all that walking around, relax with a glass of authentic regional wine at The Georgia Winery. Besides our rich history and outdoor amenities, Chattanooga also prides itself as a city dedicated to the arts. 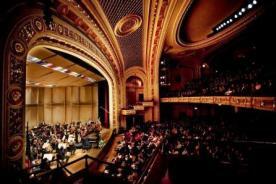 If you’re hoping to catch a show while in town, check the schedules for the Chattanooga Symphony and Opera, Memorial Auditorium, Tivoli Theater or the Chattanooga Theatre Center, which offers real-time captioning for the first Thursday night performance of plays. A trip to see the largest collection of American art east of the Mississippi River at the Hunter Museum of American Art will reveal works from some of the nation’s best talent including Mary Cassatt, Winslow Homer, and Fitzhugh Lane. Afterwards, walk around the Bluff View Art District to enjoy the surrounding sculpture garden and public art. For more information about retiring in Chattanooga, contact the Program Director here.